A fun activity for Spring Baseball season, or ANY time of the year! Here is a great way to practice letters, spelling, and reading with your little ones. 1. Trace 6 circles onto the white cardstock. You can use a cup to trace. Then cut them out. 4. Draw a bat shape onto the brown construction paper. Cut it out and trace 3 more on the paper, so you have 4 bats. All done, ready to play! Have your child place one of the bats onto the green paper. Read the word with them and then let them find and place the baseballs with those letters into the circles. Have them sound the word out again and read it to you. I decided to keep it very simple and just use a few -AT words so LB(4) could hear how they all sound and practice basic reading skills. 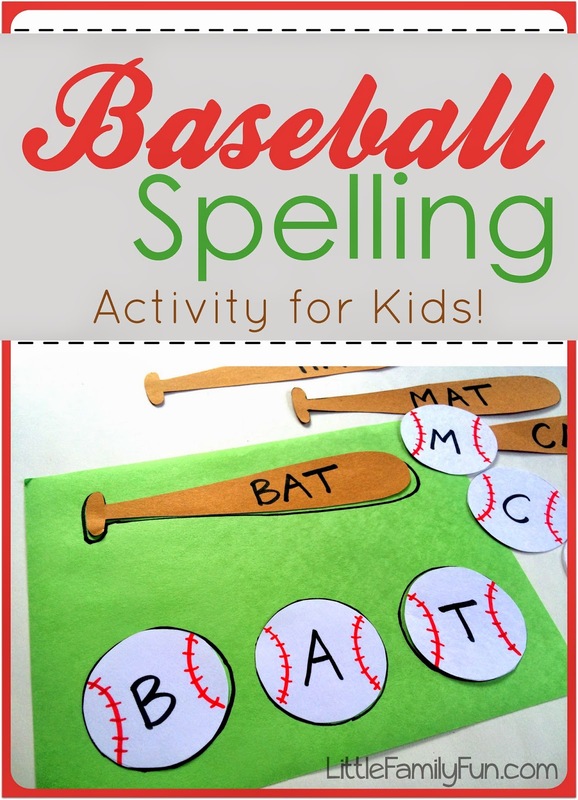 You could easily add more bats and baseballs to this activity as your child progresses with their reading!